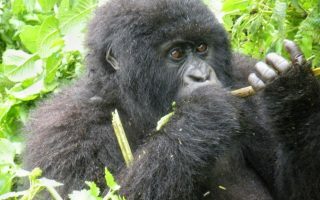 Congo Gorilla tours and safaris in lead you to two key destinations for Gorilla trekking in Congo. To be clear, I am talking about the Democratic Republic of Congo (DRC) and due to its huge size, the country is known to bear on and off insurgencies on the Eastern side – something that creates an irony about the name “democratic”. Well, back to the Gorillas in Congo, the country is blessed with 2 species; the renowned mountain gorillas and the Eastern Lowland gorillas. The mountain gorillas tend to be bigger than the lowland gorillas and another difference is on their hairy coat – the giant mountain gorillas possess a dark coat whereas the lowland subspecies carries a lighter grayish hair. 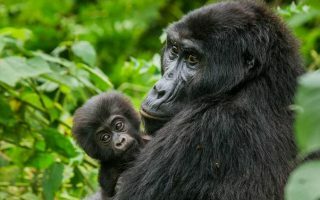 Congo Gorilla tours take place in the Virunga national park, a renowned UNESCO heritage site that is part of the greater Virunga massif – a giant block of volcanic mountains shared among the three countries of Uganda, Rwanda and DRC. Congo’s Virunga national park is the oldest national parks in Africa established in 1925 by king Albert 1 of Belgium for the main purpose of protecting the mountain Gorillas that roam the Virunga massif. 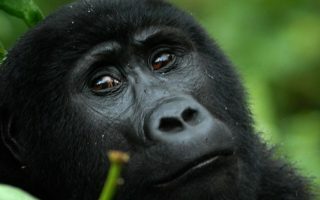 It thus carried his name; Albert Parc until 1969 when it was renamed Virunga National Park. Sadly, Gorilla trekking here has been an on and off activity until recently because of the constant insurgencies by the different militia groups in the massive forests of Eastern Congo! The park was re-opened for tourism since 2013 and operations have been smooth and there is more hope now as the security and safety of the area continues to grow with stability returning to Eastern Congo. 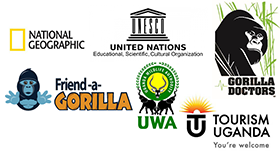 For those looking to visit the lowland gorillas – which are also endangered species, you will be visiting Kahuzi-Biéga national park for lowland gorilla trekking which is also a remarkable experience and an activity that also growing in popularity. The park is located on the western bank of Lake Kivu, near Bukavu town in Eastern Congo and close to Rwanda boarder. 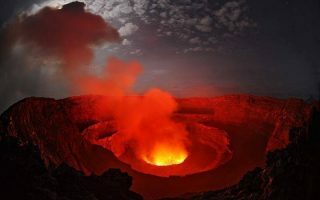 For many a visitor, a Gorilla trekking safari in Congo is not perfect enough unless combined with a tour of the active Volcano – the Nyiragongo Mountain. We offer expert knowledge and affordable tailored Congo safaris and tours including mountain and lowland Gorilla tours, Nyiragongo hike, Rwenzori trekking and other authentic experiences combining Uganda, Rwanda and The Democratic Republic of Congo. Contact us today!